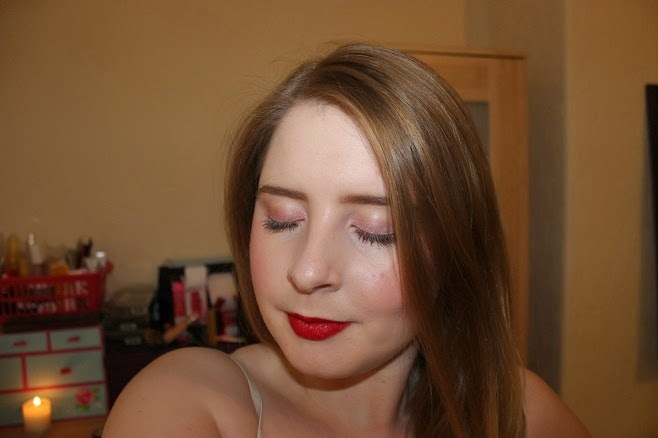 A few weeks ago I wrote a post about some products I'd recently bought but not got round to trying. Well there are plenty more products where they came from so I've decided I'm probably going to make this a regular post. Hopefully it will encourage me to take photos of my products and then actually use them! I hate using products without photographing them first so my laziness in not photographing things leads to many, many, many unused products sitting in my collection. This time I picked out five products to try. Starting with an item I bought back in July so not quite as recent as most of the things but still unused! 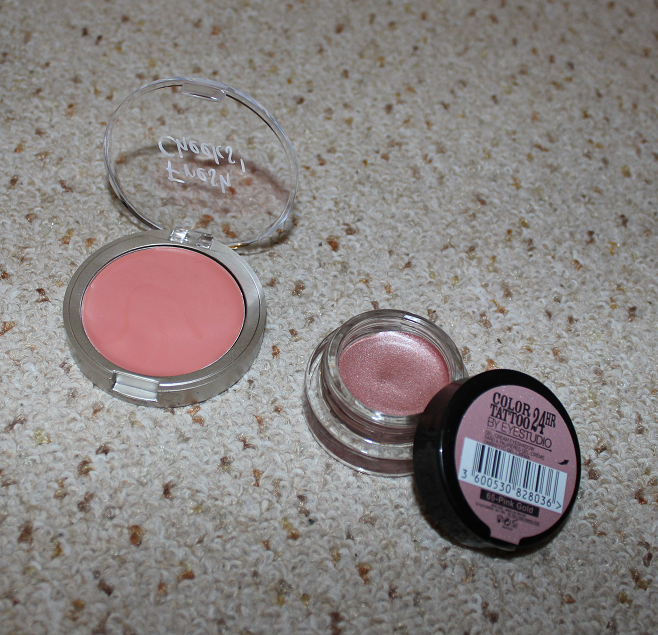 It's the Look Beauty Fresh Cheeks cream blush in the shade Guava. 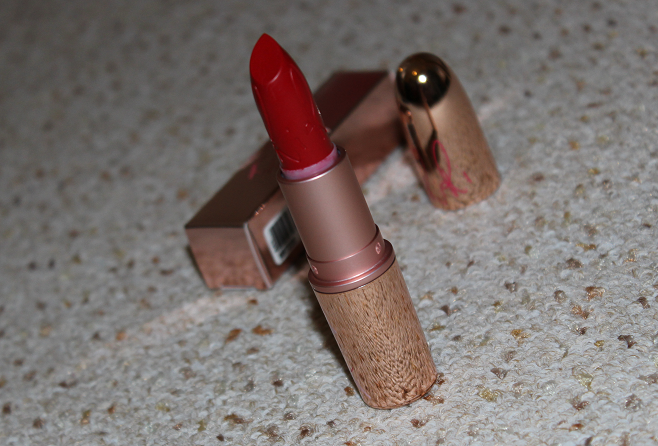 I originally bought this because I really liked the shade. It's a toned down, quite natural, peach shade. You only need to swirl the brush round in the pan a little to pick up the product and I think it gives a nice colour to the cheeks with a dewy finish. 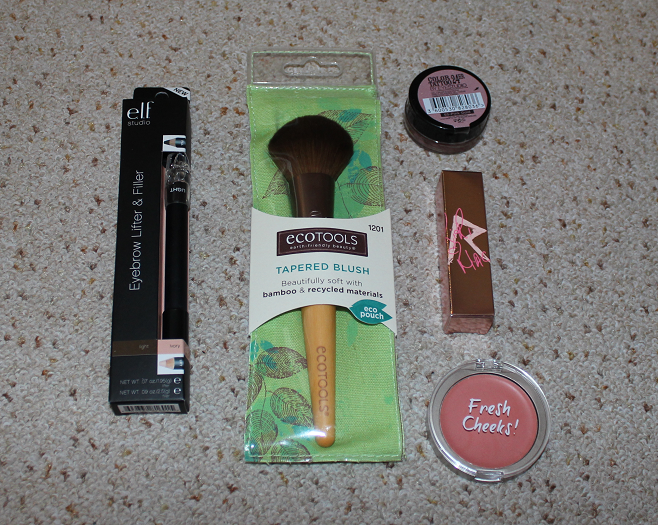 One of the other items I tried was the brush I applied this blush with, the EcoTools Tapered Blush brush. This is such a lovely brush to use. It's really soft and I love the shape, it applies blush perfectly to the apples of the cheeks and makes easy work of blending the product out. Over the past few months I've picked up some of the Maybelline Color Tattoos and the first one I've tried is the Pink Gold shade. This is a lovely colour that leans more on the pink side but has a metallic, shimmery finish from the gold. The creamy texture is light and easy to blend on to the eyelids with your finger. I really like this so I'm looking forward to trying my other shades. Another older purchase, back in July was the e.l.f. Eyebrow Lifter & Filler in the shade Light/Ivory. This is a dual ended pencil with one coloured end for filling in brows and a light side for under the brow to give a lifting effect. I wasn't really that keen on this product. The filler end is ok, it's quite a good match for my brows as it's not too warm toned like most brow products but the lifter end is a waste of time. I thought it would be an illuminating product but it looks like a crayon concealer in a shade that is too dark (and orange) for my skin. I could just about blend this in to my skin but it seemed pointless as it gave no lifting effect, or any other effect for that matter. The final product I tried is the limited edition MAC RiRi Woo lipstick (you can enter my giveaway to win this and more here). I bought this in the beautiful rose gold packaging from the 'Fall' collection but it's been available in other packaging previously and in some white and rose gold packaging for the upcoming 'Holiday' collection. See The Sunday Girl's blog for more information on that collection. RiRi Woo is a cool toned dark red shade in the Retro Matte finish. I wasn't sure how I was going to get on with this type of finish but I actually think it's really nice. I've been exfoliating my lips recently with my Lush Santa's Lip Scrub (post on that here) so when I applied this lipstick, it gave an even finish with no imperfections on display. The application of this product isn't the easiest as you have to drag it across the lips quite a few times to get the right level of pigmentation and it can be hard to make it look neat but if you are patient, I think it's worth the wait. 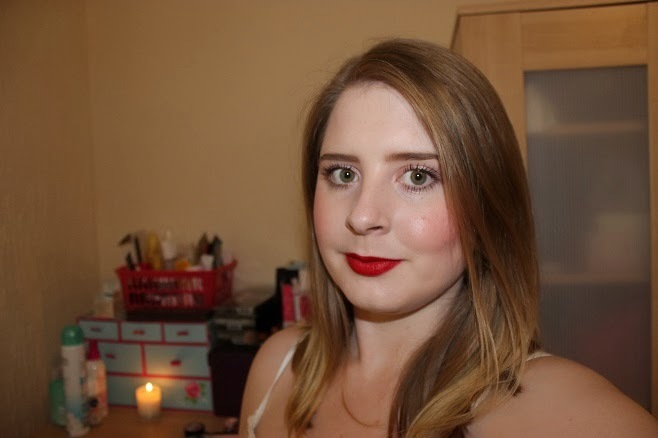 It's such a nice colour that I think goes well with my pale skin and the texture feels really comfortable on the lips. I think it would stay on for ages too. I'm quite happy with this selection of products since there is only one not-so-good item. I'm looking forward to putting these products together with other things to see how they look too. I need to keep revisiting the stash! What products have impressed or disappointed you recently?